A book pack specially curated by Letterbox Library to mark the centenary of the beginnings of women's suffrage in the UK. Currently available to members at an enhanced 20% discount. A collection of non-fiction anthologies, fictionalised biographies, picture books and short stories to suit a wide range of reading abilities and interests. 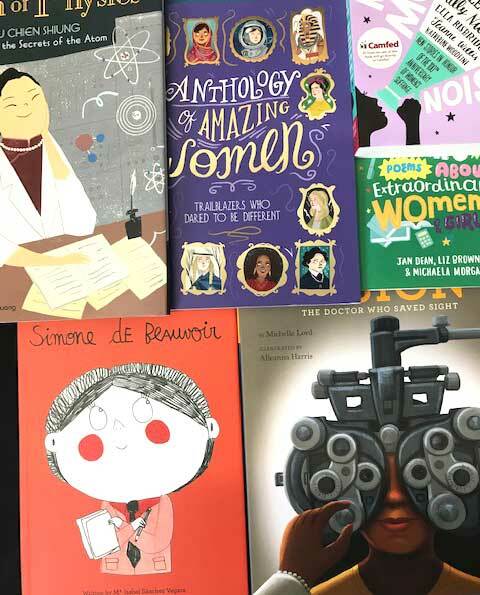 Goes beyond narratives of suffrage to introduce children to both contemporary and historical female icons from around the globe including pilots, scientists, campaigners and chefs! From Beyoncé to Malala, there is something here for everyone. The centenary has meant lots of publishers are creating 'great women' focused titles in 2017/8. Our reviewers bring you the ones which they believe are of the highest quality and most relevant to young people. Includes three hardback anthologies which deliver handsome, cross-curricular, treasure troves of information easily exploited in the classroom.